The Legendary Yoda robotic toy is now available, and you know what that means. It means that at long last you can train with Master Yoda and become the Jedi that you always knew you could be. And you won’t have to wade around in an icky swamp with bird-sized mosquitoes to do it. Standing 16″ tall, RoboYoda has 360-degree movement and never-before-seen lightsaber action! He has some pretty awesome moves and looks convincing enough that your kids will love him. 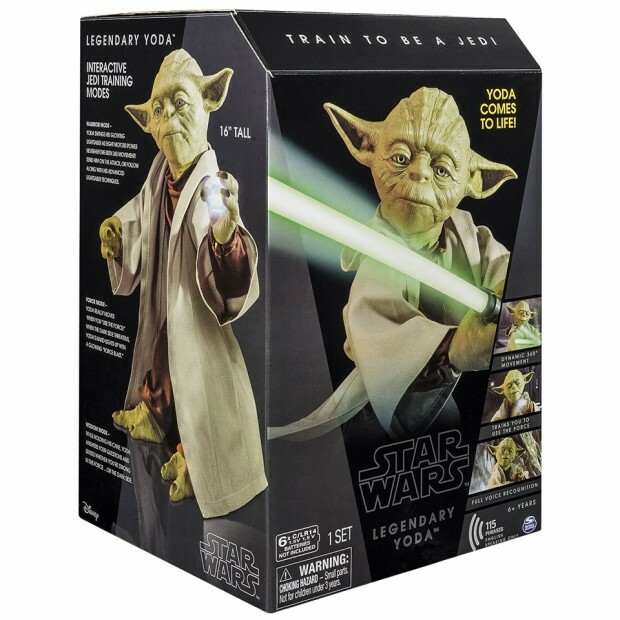 Yoda’s got movie-like latex skin, a real fabric robe, and speaks 115 phrases. He also has three modes of play. Master them all, and you will be a Jedi. This is as close as we can get to a full-fledged Jedi master so get yours today.